For centuries, the French have taken their baguettes seriously. Rigid quality standards were set by Napoleon himself. 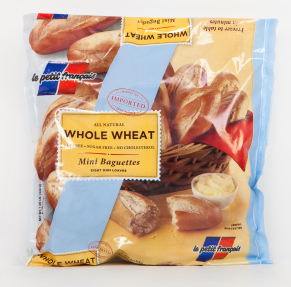 With just one bite of this natural treat you will recognize the distinctive taste of our select unbleached wheat flour, natural spring water and four generations of baking excellence. We use no chemical preservatives; - we are bakers and not chemists. 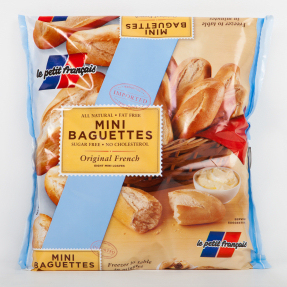 Le Petit Francais baguettes are produced by the renowned bakers of S.A. Boulangerie de Neuhauser, in the Alsace Lorraine region of France. 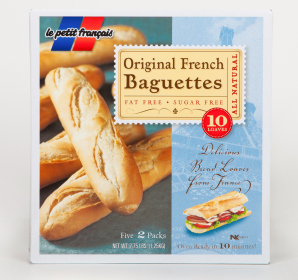 Great-tasting Le Petit Francais baguettes are easy to bake or grill. Now you can enjoy hot, crusty bread anytime you like! Enjoy them plain or be as creative as you want. 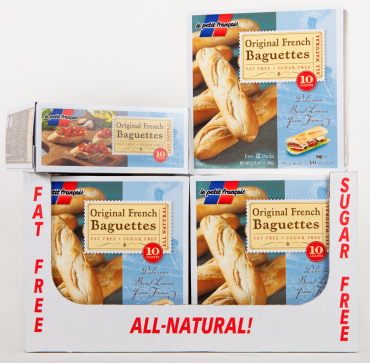 Try them with deli meat, marmalade, brie, rock salt or garlic butter - whatever suites your fancy! © Le Petit Français Inc.